How Can Labor Be Saved? American unions are in deep trouble. What’s the way out? Vultures are circling American unions. One month after scoring a defensive victory in the November elections, organized labor suffered a once unimaginable body blow: the passage of “right to work” legislation in Michigan, the latest longtime labor stronghold to become the site of a devastating defeat. In January, the federal government announced that private sector unionization has fallen to a new historic low of 6.6 percent, down from more than one-third of the workforce a few generations back. The past two years have seen sparks of surprising vitality—from the mass uprising in Wisconsin, to the Chicago teachers’ walkout, to the strike wave now roiling Walmart. But the big picture is bleak: our fastest-growing industries are virtually union-free. 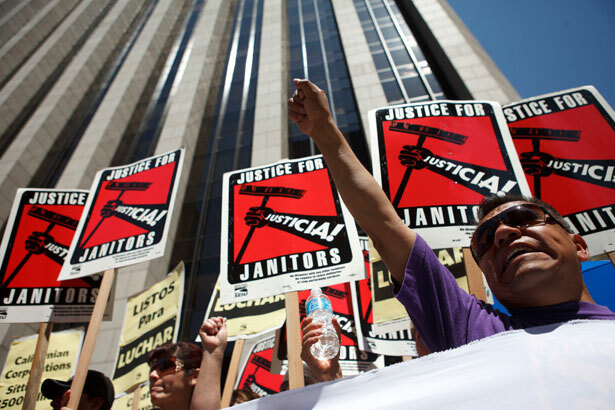 Strikes by workers are losing ground to lockouts. Concessionary contracts are rampant. The government’s New Deal–era promise to protect the right to organize has become a cruel joke. In politics, as at the bargaining table, unions are mostly playing defense. When labor declines, our economy and our politics tilt ever further toward the rich. The Democratic Party becomes even less accountable to the working class. Progressive coalitions are stripped of crucial infrastructure and grassroots firepower. Corporate power goes unchecked. Productivity gains flow to the 1 percent. And Americans become ever more subject to the whims of managers: coerced to donate to a boss’s favorite candidate, forced to work while sick, or fired for defending an “ethnic” haircut on Facebook. How can labor turn this dire situation around?